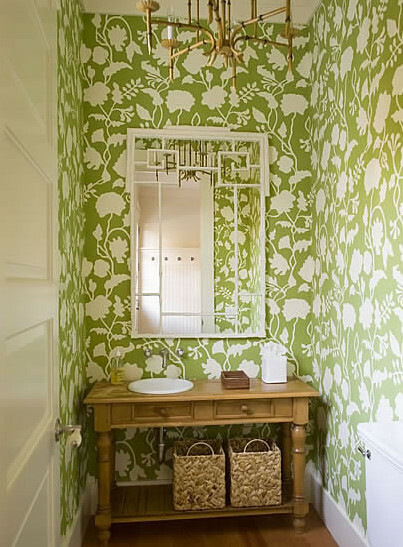 And it got me thinking about wallpaper all over again! 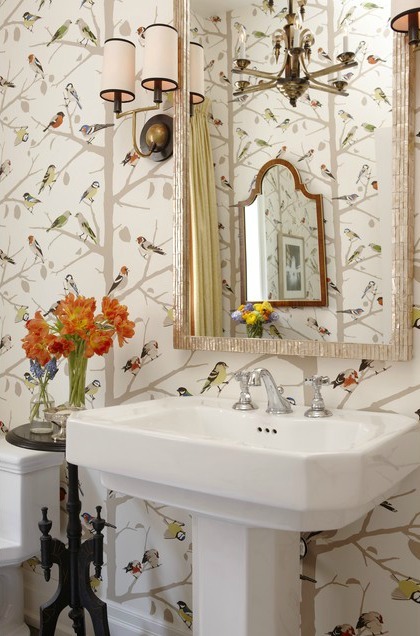 I love the bird and tree motif in this wallpaper, and think it would be a fun addition to my powder room. Not that I need to add another project to my current “to do” list, but I am definitely going to move this idea up a few notches! It is from Schumacher and the pattern name is A-Twitter…cute! 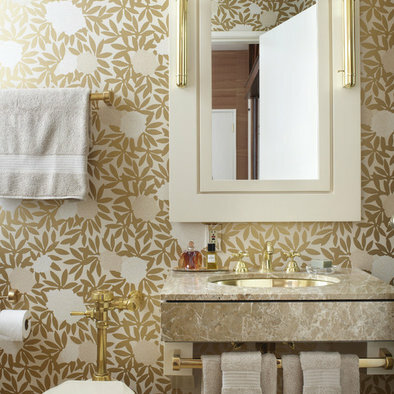 Using wallpaper in a small space like a powder bath is the perfect place to go big and bold. This paper would bring life to the space without weighing it down too much. I think it would look great paired with the white wainscot and trim. So tell me…what do you think? 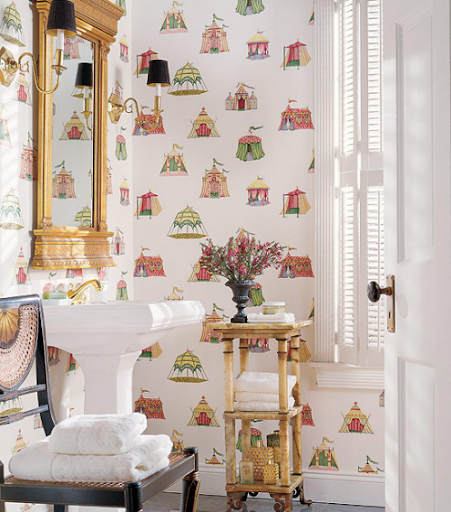 Are you a fan of wallpaper in a bathroom? Would you go big and bold? I love the bird wallpaper! It's so cute! 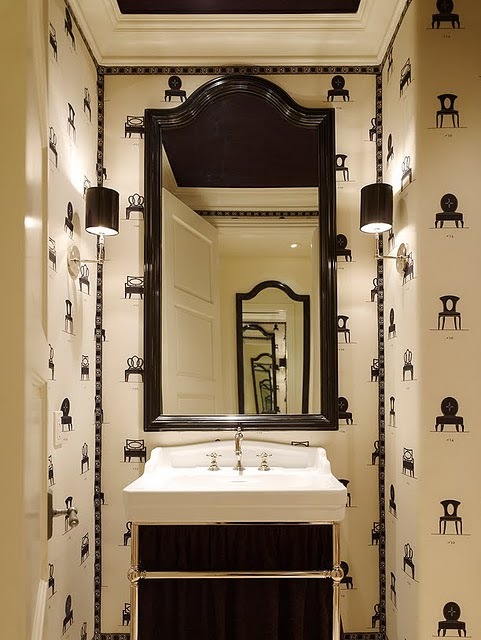 I wish I was brave enough to make that kind of statement, but if you're going to do it...the powder room is definitely the place. I can't wait to see how it turns out. 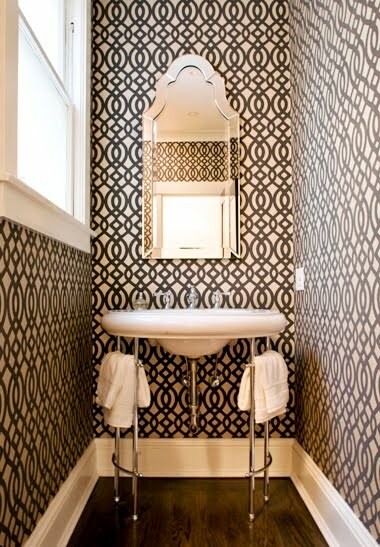 I went big and bold with the wallpaper in my powder room and I'm so glad I did! It gave our little room so much personality! 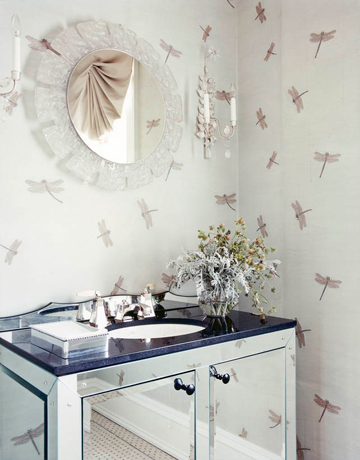 Love the bird wallpaper...sophisticated yet whimsical. Do it, you won't regret it! I'm not a wallpaper fan, but I love this bird wallpaper! I think a small room is great for going bold. I'd do it! The print is really nice and I agree that it'll look great with all the white that's already in there!